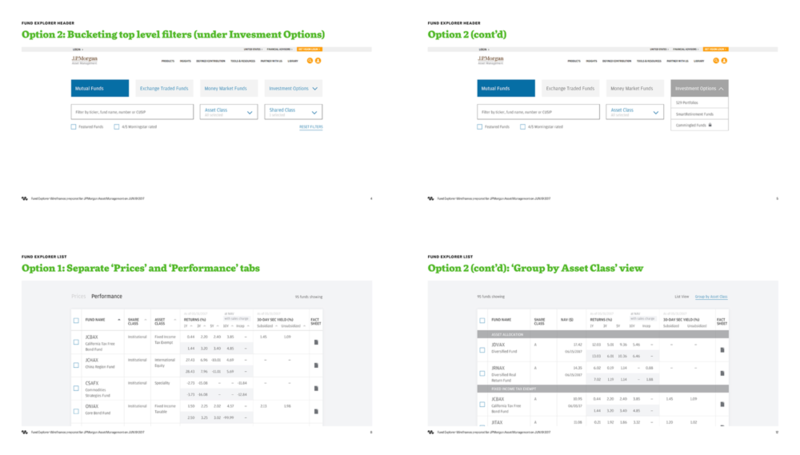 As part of a large-scale, 1.5+ year redesign of key aspects of JPMAM’s US Funds experience for Financial Advisors, we were asked to redesign their New Product Experience consisting of Product (fund) Detail pages, and the Fund Explorer . 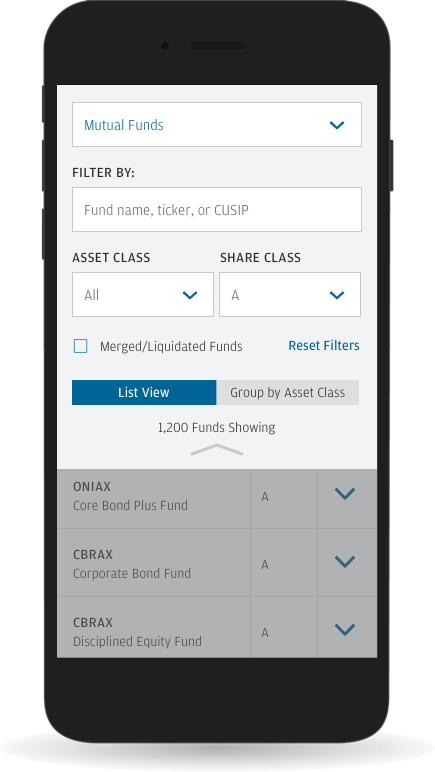 Informed by user research and an industry audit, we created an intuitive, responsive interface to display JPMorgan’s 150+ funds. 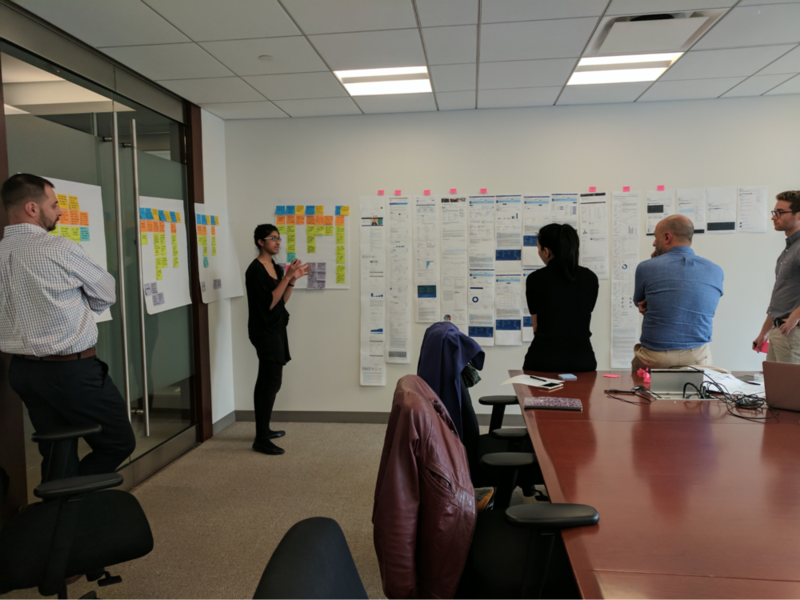 We also created a roadmap for rolling out the new experience across JPMorgan’s international markets. Our first order of business was requirements-gathering and scope definition at a global level (since JPMAM’s sites span multiple international markets). We also had to define how to customize the interface for different audiences including Financial Advisors, Personal Investors and Institutional Investors. In conjunction with our scope definition, audited 15+ asset management product experiences to understand how competitors were displaying their funds. 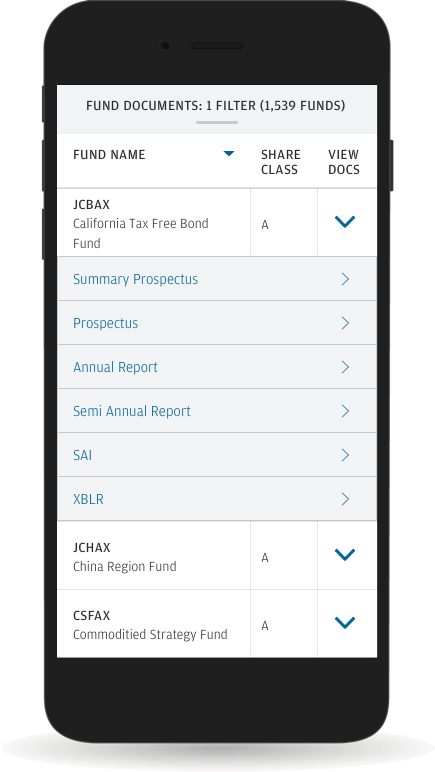 When it came to design, the Fund Explorer had to be responsive, filterable/sortable by multiple criteria, and display varying key data points, depending on fund type. We iterated multiple permutations and combinations of the information hierarchy to arrive at our final product. After completing the redesign, we packaged a holistic design system for the dev team, that covered the new Funds Explorer page and the new Product Detail (individual fund) page. Our handoff also included a comprehensive functional spec which laid out sorting parsing, scrolling and other interactive behaviors.